Baby UV Suit Surf the Croc | Baby's UV Swimwear with a cheerful print of a crocodile and lion. 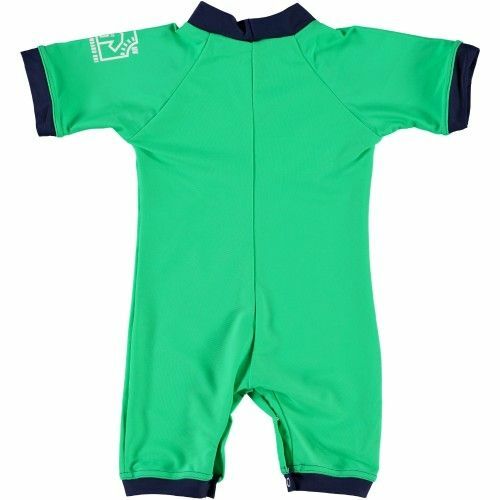 This baby UV sunsuit has a UV protection factor of UPF60 for maximum sun protection. 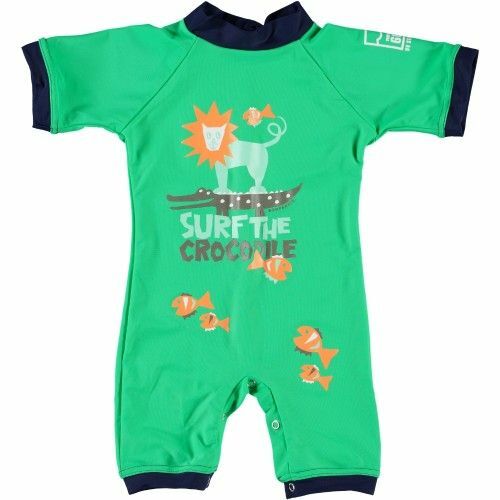 Protect the sensitive skin of your baby from the dangers of the sun with this colorful Sonpakkie UV Baby Swimsuit in colors Cricket green and Midnight blue. This romper model has convenient snaps that makes this UV Baby Swimsuit easy to pull on and off. All Sonpakkie UV resistant and UV protective swimwear for babies and children has a protection factor UPF 60. • The Sonpakkie UV baby swimwear is designed for active use. The UV Baby suits perfectly fit (tight, but not constricting) and are ideal to play both in the water and outside on the beach for example.